It is always odd coming to the end of the year, but not being in a school. We have continued to grapple with scalability, reviewing workflows to identify gains. I have also spoken to a few schools about what they are doing next year. It feels like every month is eventful. Makes me wonder if in part this is a mindset? Ms 2 graduated in swimming and will skip the next class. This means I will no longer need to get in the water. Ms 7 had her yearly keyboard recital. It is always fascinating watching her learn her pieces and develop confidence over time. Practice makes perfect? Lastly, we had some issues with our roof, which involved water getting into the house. Personally, I think this is the first month in a long time where I have not written any long form posts. I have started a few drafts and written some lengthy comments on other posts, but never really found the time and energy to finish gathering my thoughts on anything. In regards to music, I have been listening to the new album from Muse, as well as the VAST compilation, featuring a range of Australian artists. In addition to this, I have found myself listening to a lot of old St. Vincent. 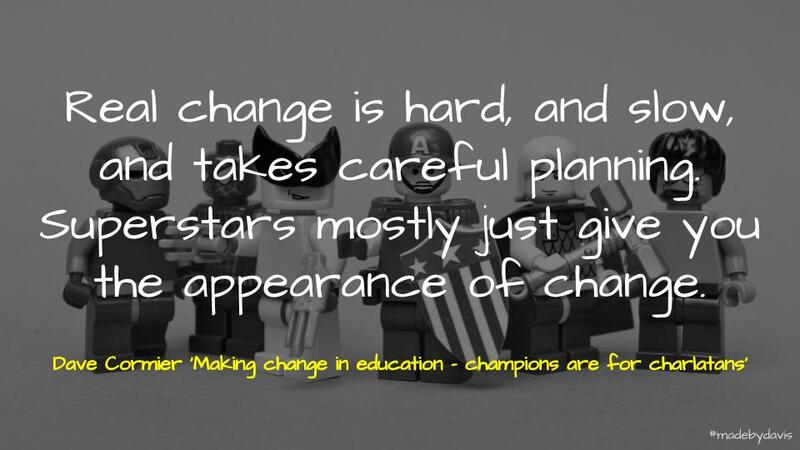 Making change in education – champions are for charlatans: Dave Cormier reflects upon the change approach of “working with the ‘willing’ first” and wonders if this is wrong approach. Rather than sustainable change, focusing on the guaranteed +1 is both unethical and creates a super star culture. Something I have touch d upon in the past. Cormier instead argues that the focus needs to be on long term change, with a plan to solve an actual problem. Associated with this, it is important to make space for such change, what Tom Barrett describes as innovation compression. This is also something that I have discussed in regards to my concern about ‘great teachers’. Rather than the right teacher, I would argue that we need to focus on the right culture and environment. Cormier also addresses this in regards to the complex versus the complicated. ePortfolios: Competing Concepts: Tom Woodward addresses a number of considerations associated with ePortfolios, including strategy, audience, ownership and privacy. Woodward provides a lot of nuance throughout his discussion and provides a number of examples to support this. 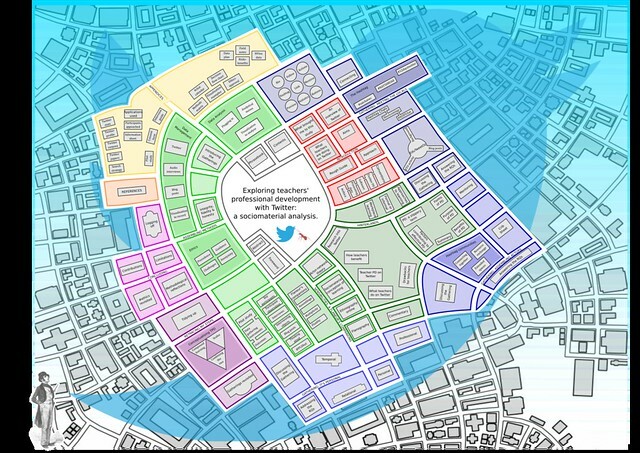 It is a worthy addition to the discussion of ongoing reporting and ways to blog. Woodward also reflected on the skills required for living online. Twenty things I wish I’d known when I started my PhD: Lucy Taylor provides some suggestions of things to consider when starting a PhD, such as identifying a work/life balanace, set yourself goals early, write down everything and backup your work. This reminds me of posts from Gayle Munro and Deborah Netolicky sharing some of their experiences. The plastic backlash: what’s behind our sudden rage – and will it make a difference? : Stephen Buranyi unpacks the worldwide rage against plastic. This is a part of the wider discussion of global warming. Whether it be in the drinking water or the ocean tip, rubbish has become an important conversation. QandA:‘what works’ in ed with Bob Lingard, Jessica Gerrard, Adrian Piccoli, Rob Randall,Glenn Savage (chair): Glenn Savage chairs a conversation with a varied group of voices discussing impact of evidence, Think Tanks and NAPLAN on education. 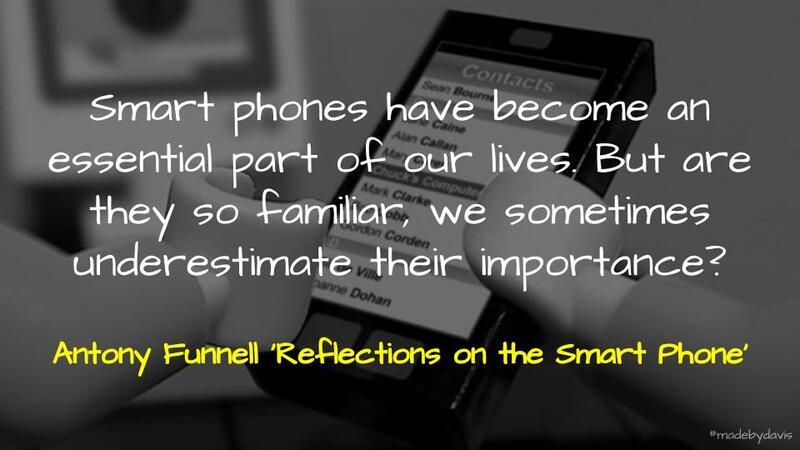 Reflections on the smart phone: Antony Funnell speaks with Professor Genevieve Bell, Ariel Bogle, Distinguished Professor Larissa Hjorth and Emma Bennison about the history and affordances of the smart phone. They discuss the walled garden created by apps, the way devices inform our humanness, the cross-cultural appropriation of new technologies, support for accessibility and the surveillance built in. I have been thinking a lot about smart phones lately, especially while reading James Bridle’s New Dark Age and Adam Greenfield’s Radical Technologies. The conversation that I think is interesting is whether there is a future beyond the templated self produced by a handful of social silos. Checking Out Online Shopping (IRL Podcast): Manoush Zomorodi investigates the big data associated with shopping online and off. This reminds me a comment by Ben Williamson in regards to Class Dojo that ‘sensitive’ data is often about how as much as what is captured. Secrets of the Edu-Twitter Influencers: This is a reflection from a number of educational ‘thought leaders‘. What stood out was the intent of self-promotion that many started their journey with. One thing that I found interesting was how much time different people spend. It makes me think that being a ‘thought leader’ is something that needs to be maintained. Why people troll others online: Ian O’Byrne discusses some of the reasons why people troll online and how to respond to them. For a deeper look at the types of trolls, read Molly Hill’s post. Avoiding the Lock-in Effect in WordPress: Antonio Villegas discusses much-dreaded lock-in effect that can occur with WordPress when utilising a particular feature provided by a plugin. 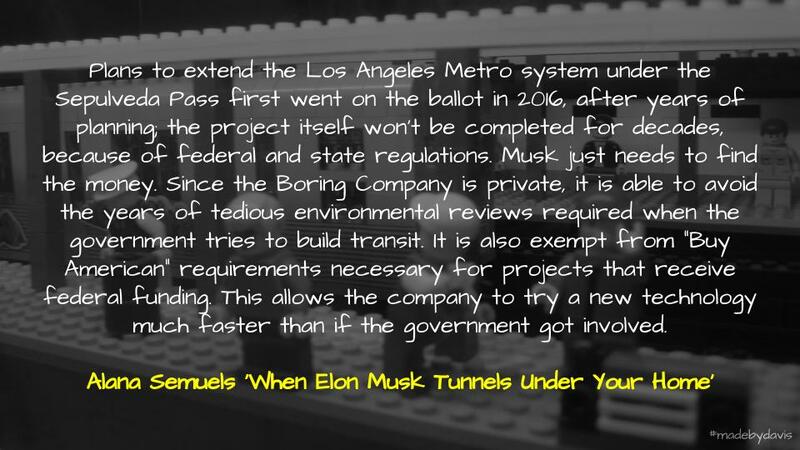 When Elon Musk Tunnels Under Your Home: Alana Semuels explores the intricacies associated with Elon Musk’s boring project in Los Angeles. She highlights the many ways in which innovation is able to bypass the rules and regulations that hamper the development of public infrastructure. For me this is highlighted by fifty year plan associated with transport in Melbourne. I agree with Semuels’ that it would be better to see such time and money spent supporting the state, rather than endlessly trying to circumvent it. Should we really all fly less? : Diego Arguedas Ortiz discusses a recent study unpacking the individual actions that can help lead to climate change. Some of these actions include taking public transport, invest in renewable energies, eat less meat and stop flying. If this is too much then Arguedas Ortiz provides a list of actions to offset your activities. On the flipside, Martin Lukacs argues that individual action is a con and that what is really needed is collective action. Zambia may serve as a crystal ball for countries looking to deal with Beijing: Siobhan Heanue reports on China’s growing influence in Zambia. This is part of the Belt and Road Initiative. Even more interesting than Chinese ownership (do they own the third world?) was the ownership of business for 20 years. This investment, both private and state, is nothing new and is a part of a long-term strategy. It would be fascinating to see a breakdown of Chinese investment and ownership from around the world. ‘A wall built to keep people out’: the cruel, bureaucratic maze of children’s services: Jake Anderson recounts the journey associated with gaining support for their daughter, who has ASD. One of the things that stood out was the blur between private and public connected with the privatization of government contracts. Dropping Acid: Shuja Haider talks about the sounds and methods associated with Acid House music. Along with the TR808 and the Line 6 DL4, this article documents the place of the TB303 on modern music. Thesis Abstract: Ian Guest provides a summary of his research, as well as an explanation of why he moved away from the traditional contents page. Foreword: Ian Guest provides a forward to provide preliminary explanation of terms like flâneur. Chapter 1: Introduction: Ian Guest breaks down the different parts of his research. Chapter 2: Hinterlands: Ian Guest provides a summary of the supporting and sustaining literatures which informs his research. 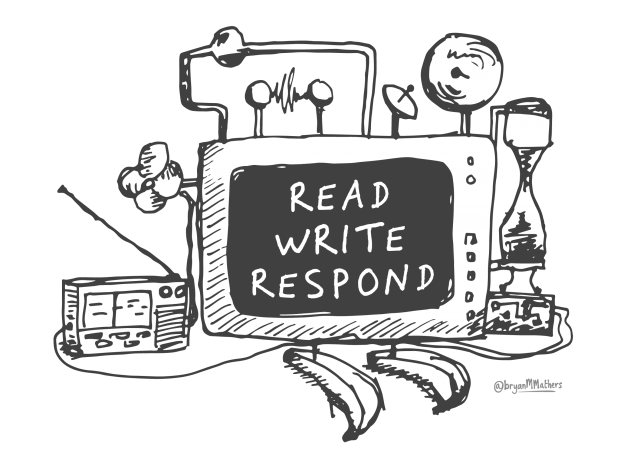 Chapter 3: Sensibilities: Ian Guest explains his choice of flânography and how this sits with the Actor Network Theory. Chapter 4: Assembling methods #1: Ian Guest explains how he took on three methods of research – participant observation, semi-structured interviews, blog post analysis and interviews – but these were supplemented with additional methods which emerged during the study. Chapter 4: Assembling Methods #2: Ian Guest addresses questions of ethics, data management and analysis associated with his research. Thesis submitted. 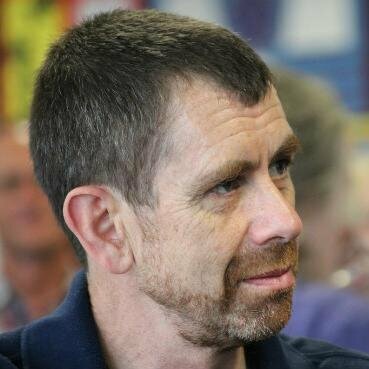 Next steps: Ian Guest uses EduTweetOz as a catalyst for an examination of the parts associated with Twitter. Chapter 6: Gathering: Assembling actors, maintaining relationships: Ian Guest explores the sense of hygge found by many connected educators. 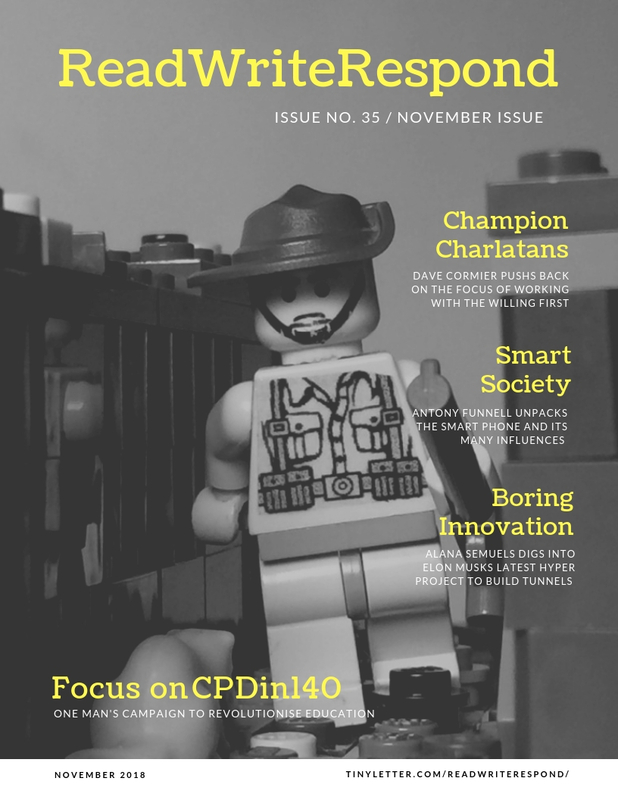 Chapter 7: Gathering: It’s personal…: Ian Guest discusses some of the benefits and drawbacks to learning with Twitter he found through his research. Chapter 8: Retracing my steps: Ian Guest explains how professional development on Twitter is an ongoing process of assemblage in which actors like teachers and tweets, hashtags and hygge, communities and crib sheets, are bundled together, form, reform and break associations. Ethics revisited: Ian Guest revisits the question of ethics when researching in online environments in light of some of the challenges faced. Chapter 9: Concluding: Ian Guest discusses some of the implications and limitations, including four contributions to knowledge. Why did you undertake this study? : Ian Guest discusses the three nudges that led to his research. Can you summarise your findings in a few sentences? : Ian Guest summarises his research by providing answer to three key questions: How are professional learning practices of teachers on Twitter manifest, How does the Twitter social media platform support the professional learning practices of teachers, and How does professional learning practice extend beyond Twitter into the wider social media ecosystem and the ‘real’ world? Where did you make ‘the cut?’: Ian Guest discusses some of his choices and constraints associated with the field, the collection of data and the writing process. “Flânography? Isn’t it just an ethnography?”: Ian Guest documents some of the differences and similarities between flânography and ethnography, including impact on immersion, mobility and visibility. In your flânography, how should we conceive the ‘field?’: Ian Guest discusses the notion of field and how it is performed through the act of research. Which theoretical framings did you consider and why did you settle on ANT? : Ian Guest reflects on the various methods he explored, including communities of practice, connectivism and rhizomatic learning, and why he ended up choosing actor network theory. So that is November for me, how about you? As always, happy to hear. Also, I am interested if anyone has any feedback on the style and structure of this newsletter. I would love to know if there are things that people like or if there are things that you would change? Next Next post: 💬 Where’s my Net dashboard?